I was miserable NE Patriots did not win. I was of course upset but my first love is football then the Patriots. Broncos did well as always. The San Francisco 49ers vs Seattle Seahawks game was the best. Close and unpredictable. Which is how I love my football games. I am looking forward to watching the Super Bowl. 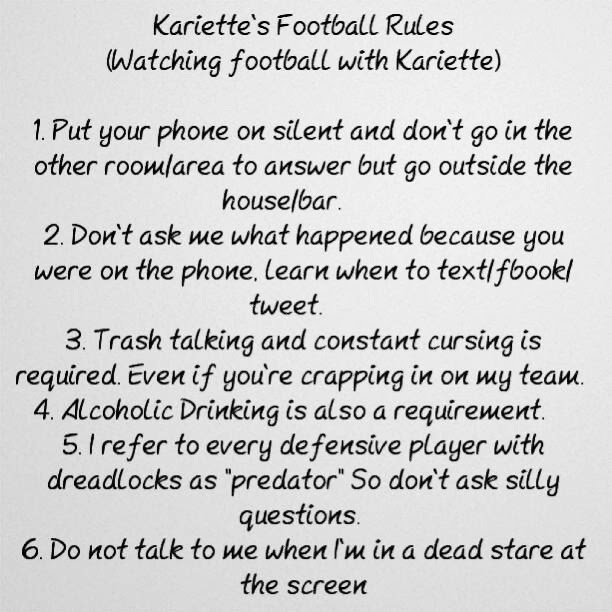 I have a few rules for watching football with me. You might have some too. Be sure to tell me your football rules.